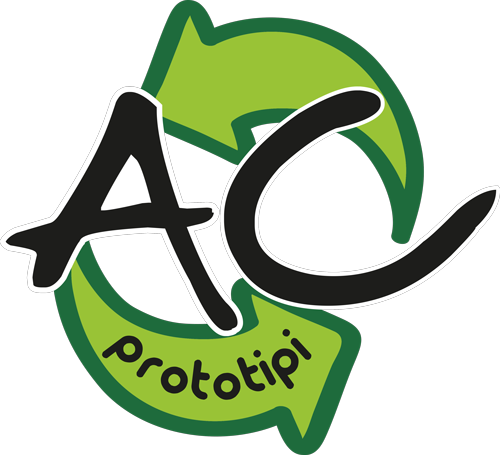 AC energia has long since developed collaboration with various state and parastatal research institutions for the realization of prototypes for experimental tests. Column reactor realized within the project +GAS is co-financed by the European Funds 2014-2020 of the Emilia-Romagna Region (Call for strategic industrial research projects aimed at innovation in energy (DGR n.1097/2015) of the Emilia-Romagna Region, in implementation of the ROP-ESFR 2014-2020). CRPA – Research Centre for Animal Production in Reggio Emilia (www.crpa.it). The experimental activities were carried out at CRPA Lab (crpalab.crpa.it) in the ENVIRONMENT and ENERGY section. 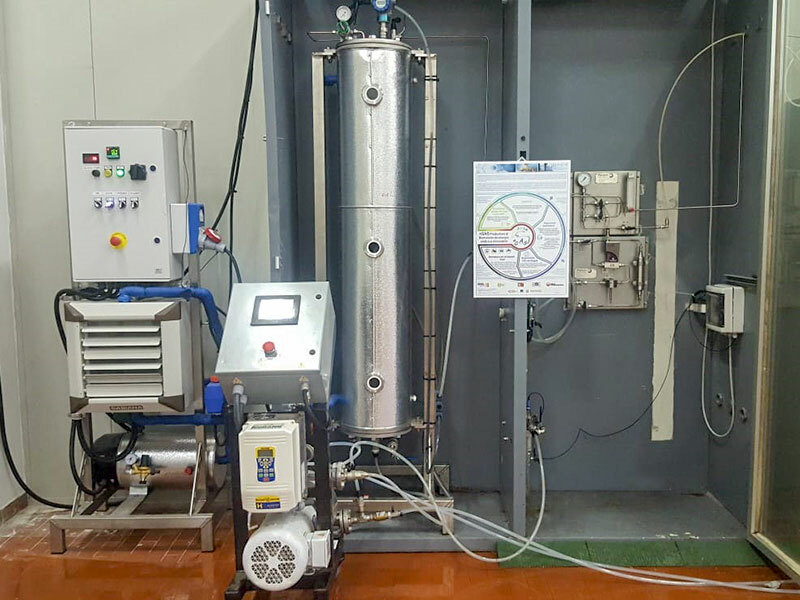 In collaboration with CRPA (Centro Ricerche Produzioni Animali di Reggio Emilia), we have developed a column fermenter with an operating volume of 10 liters, which allows you to conduct a process of anaerobic digestion for the production of biomethane. Specifically, the digester was designed to develop a strategic industrial research plan aimed at innovation in the energy field. 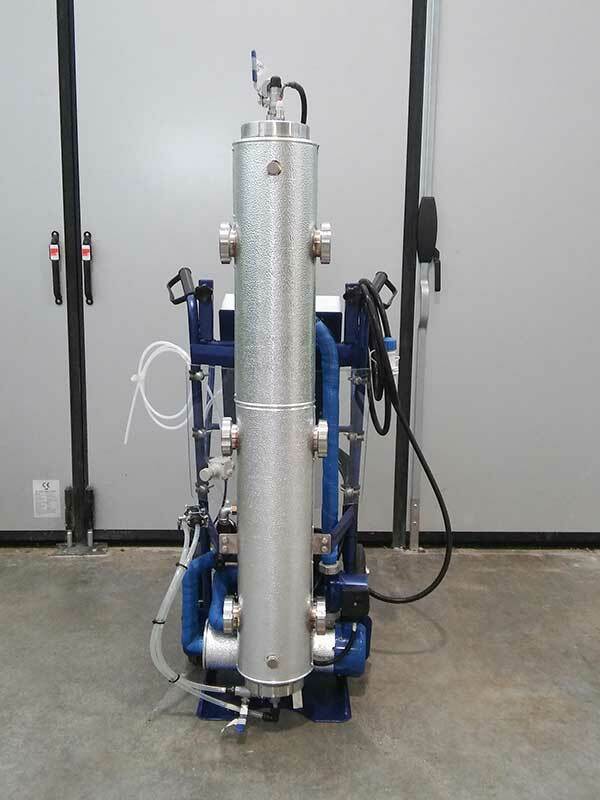 The fermenter has been designed for the biological conversion of hydrogen (H2) and carbon dioxide (CO2) into methane (CH4) through the selection and growth of microorganisms called hydrogentrophic, naturally already present in the classic biogas plants of agro-zootechnical and agro-industrial type. 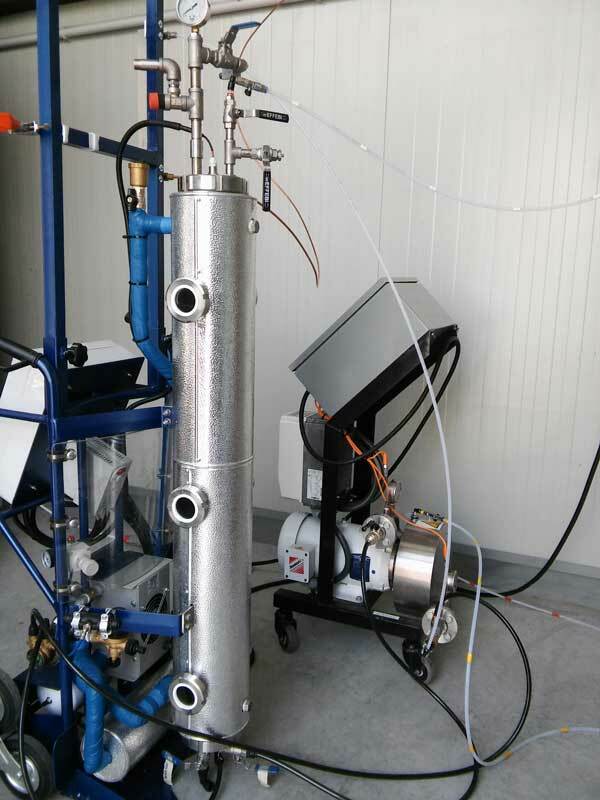 Thanks to this prototype CRPA Lab – energy and environment will aim to identify solutions that can facilitate the solubilization of hydrogen in the liquid phase (one of the current technological limits that distinguish this type of process) and thus increase its degree of assimilation by microorganisms, increasing the yield in biomethane. 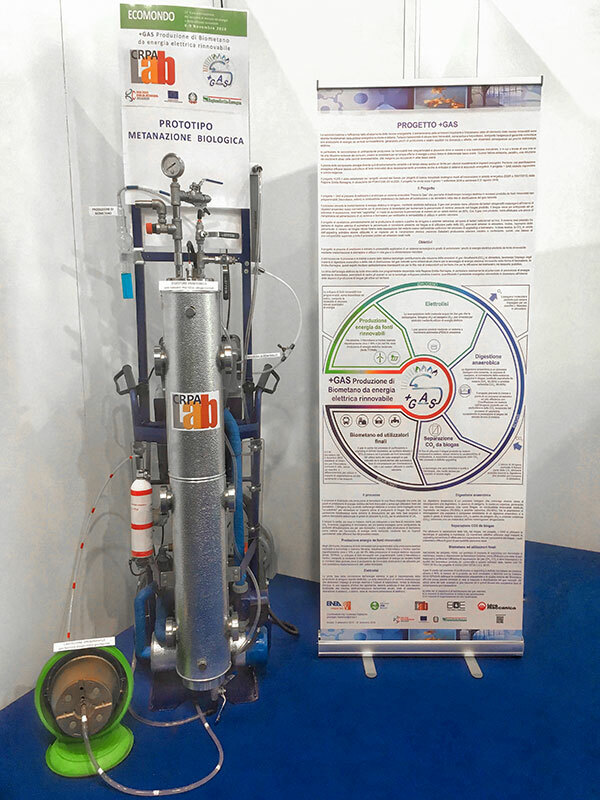 The fermenter can be used in wide temperature and pressure ranges and can be easily implemented with a system for collecting and recording data of operating parameters; these characteristics make it suitable for other types of use such as: the development of an upgrade system from biogas to biomethane entirely of biological type, studies on the desulphurization of biogas, conduction of other biotechnological processes with different bacterial cultures that mainly use liquid and/or gaseous substrates. 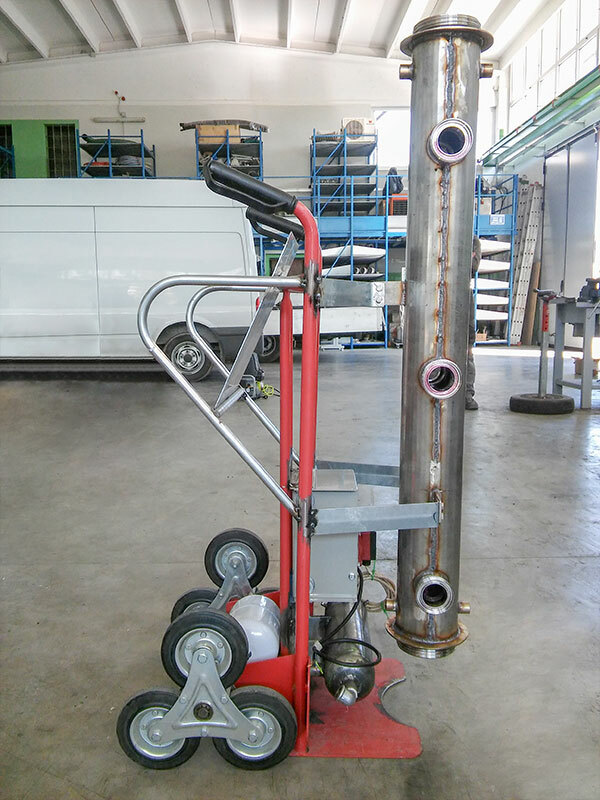 The prototype has been realized on a supporting structure that allows an easy transport and movement, particularly useful in case it wants to be applied upstream or at the end of other existing infrastructures. 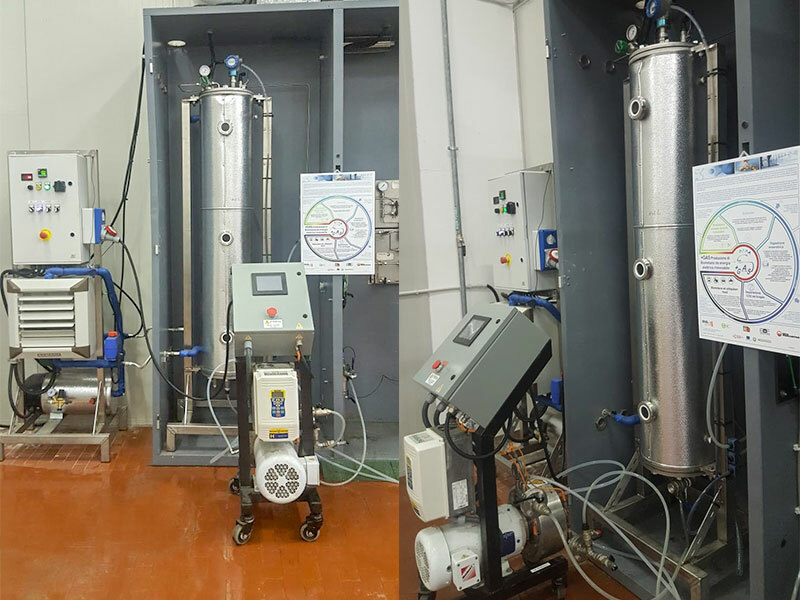 The ENEA national research centre turned to us for the construction of a pilot plant for biological methanation, which we have made entirely of stainless steel AISI 316, for a total useful volume of 52.8 liters, insulated and lined with a heating /cooling system suitable to ensure the maintenance of the desired temperature range. The reactor is complete with an electrical panel for supplying the installed equipment: pump, instruments, probes. All this is installed on a frame made of AISI 304 stainless steel tubes. The pilot biological methanation plant is used for experimental tests within the project + gas, which aims to create and analyze an innovative system “power to gas” that allows you to transform excess electricity produced from renewable sources, non-programmable, fuel (biomethane) to be dedicated to transport or to be fed into the distribution network of natural gas.